Double Check Ranch - Spend a day or two at our parent ranch at Cold Creek, in the newly built Cabin (Tiny House) which is located near a lovely stream. Starting at $69/night. Elk Horn Ranch - Elkhorn Ranch cabins provide comfortable living space for singles, couples or families. Cabins are equipped with private baths, electric heat and good reading lights. 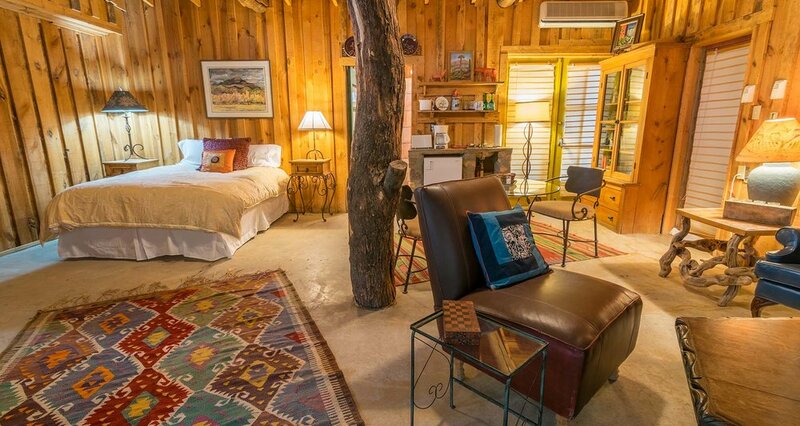 Aravaipa farm - Rustic, colorful and full of charm, every nook of this quaint country inn has been handcrafted using local timber, stone, adobe, tin, mosaic tile and an eclectic blend of furnishings. Cold Creek Ranch - Welcome to Cold Creek Ranch, a 10,000 acre working cattle ranch in Arizona's Mogollon Rim Country. Here, the Schwennesen family produces 100% natural grassfed beef.